If you are looking for some of Elizabeth Taylor's best movies, you may want to consider buying a boxed set like the Elizabeth Taylor Signature Collection. 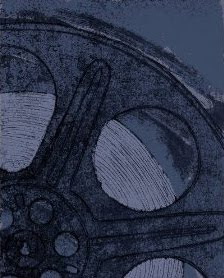 It contains four interesting and noteworthy films, including National Velvet, Father of the Bride, Cat on a Hot Tin Roof and Butterfield 8. National Velvet is the movie that launched the 12 year old Elizabeth Taylor to stardom, although it was not her first movie. This movie was so well received that it planted Taylor firmly in the hearts of movie goers everywhere. Father of the Bride features Elizabeth Taylor with another legendary actor, Spencer Tracy. This movie had such a good story that it launched almost as many remakes as Taylor had marriages. Cat on a Hot Tin Roof features Elizabeth Taylor with Paul Newman, a pairing I am anxious to see. Nominated for six Academy Awards, this movie was one of the films that saw Taylor moving on to adult roles. Finally, Butterfield 8 saw Taylor nominated for and WIN her first of two Academy Awards. It is a story taken from a 1935 book written by John O'Hara, which was in turn based on a true story -- that of a 1920's New York City call girl. Amazon customer reviewer Michael C. Smith sums Taylor's performance up, calling it a PERFECT Oscar scene and adding that Taylor "gave it to us with both barrels blazing." Individually some of these DVDs are very inexpensive. However, the presence of BUtterfield 8 makes this set worth buying because BUtterfield 8 alone is selling for about $50 used and even more if you find a new copy. If you are interested in purchasing BUtterfield 8, buying the entire Elizabeth Taylor Signature Collection may be the best way to do it because it adds four movies to your collection for not much more than the price of one. And by the way, I have been unable to find any Elizabeth Taylor movies on blu-ray. If you find one that I've missed, I would be thrilled to hear about it. 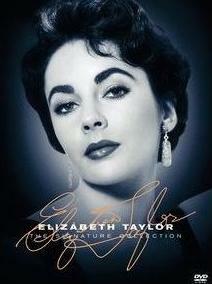 Read more about the Elizabeth Taylor Signature Collection.